There are actually only a few products that we stock year in year out but the Faber Poetry Diary is one of them. And this season Vogue are in on the concept as well. 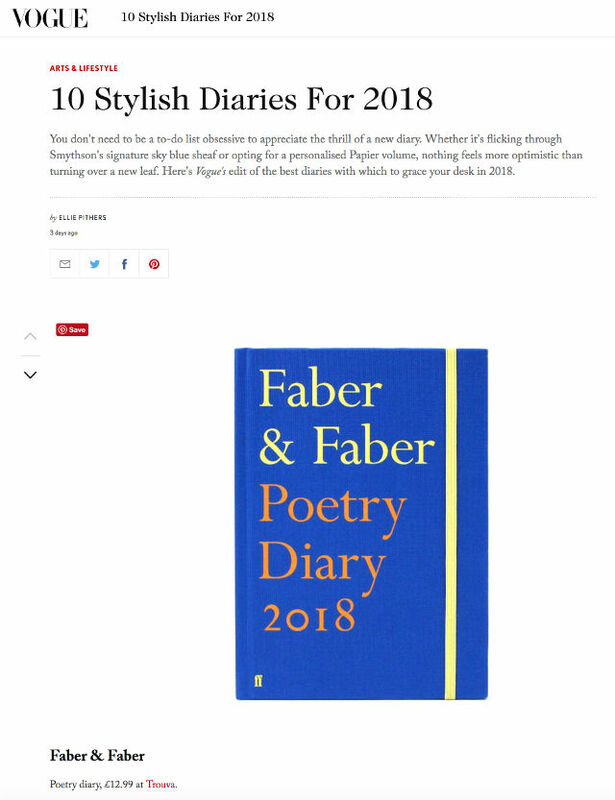 The 2018 has just been featured online as one of their recommended 10 Stylish Diaries for 2018. Should you wish to see their other recommendations – you can do so here.